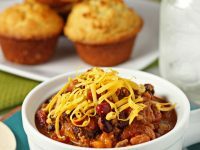 Over the last few years, I have been searching for a chili recipe that both my husband and I would love. I can’t even count how many different versions I have tried, from vegetarian chili to regular beef chili and everything in between. Seriously – we’ve gone through a lot. But none was ever quite right and one of us would end up not really enjoying it. After each batch, I would always say that was it – I was giving up on chili – maybe it was something we just didn’t like. Despite what I said, I’ve always had it in the back of my mind. I couldn’t get over it. The perfectionist in me knew that there had to be a version that we both would want to make again. This chili was a last ditch effort. And funny enough, we loved it. 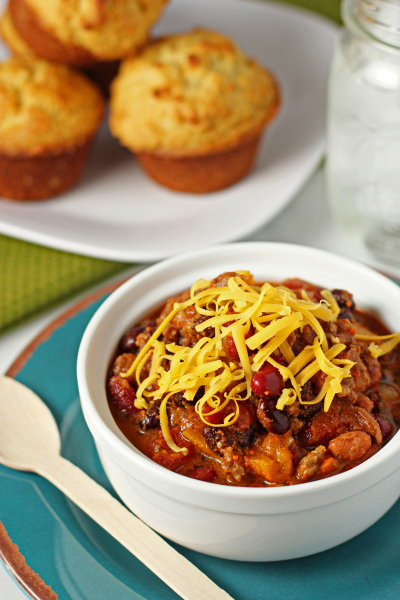 I think the key here is the spicy Italian sausage – it added just the right amount of kick to this chili. Not too much, but not too little either. We also loved that this version is full of various beans, some veggies, and the beer doesn’t hurt either. It gives it that extra layer of flavor. 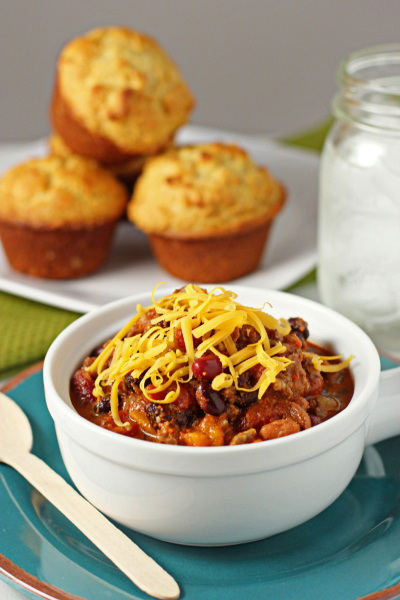 Serve this chili along with some honey corn bread muffins and you’ve got one heck of a meal. I should also mention that this freezes incredibly well – I pulled another container out of my freezer to thaw out this week. We’re excited to have it again for lunch very soon. 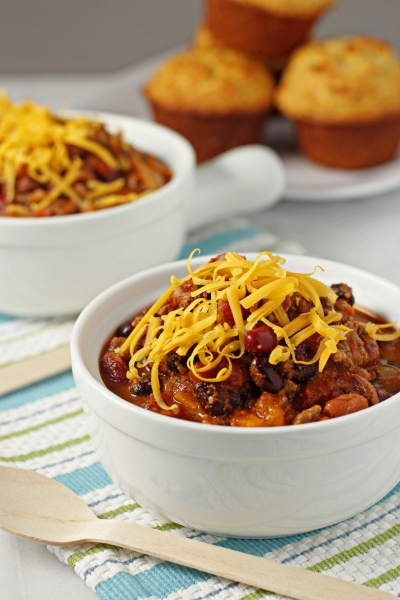 Recipe for sausage and beef chili. Packed with loads of flavor from the spicy Italian sausage, beef, lots of veggies, beans and beer. And it freezes great! Add the olive oil to a large stockpot or Dutch oven set over medium high heat. When hot, add in the onion and peppers. Cook, stirring occasionally, for about 5 minutes, until soft. Add in the garlic and cook for about 30 seconds, until just fragrant. Next, add in the sausage and beef. Use a wooden spoon to break up the meat into smaller pieces as it cooks. Cook until browned and cooked through. Add salt and pepper to taste if needed (I didn’t add any). 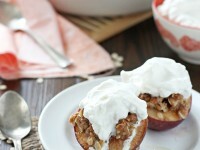 Spoon into serving bowls and top with shredded cheese and a dollop of greek yogurt or sour cream. *After the 2 hours, I turned the heat all the way down to low and allowed it to go for another hour (since we weren’t ready to eat). We thought that it tasted even better this way (as opposed to after just the two hours) since the flavors were able to develop even more. However, you can definitely eat this after the two – it tastes great that way as well. Adapted from Jamie Deen via the Food Network. 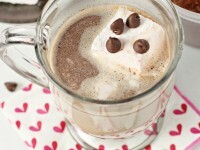 Looking so forward to making this!!!!! Aww I love that your mom commented! I can’t eat beef or sausage but this still looks really yummy! Your photography skills are on point too! Maybe I could try a chicken or vegetarian version? With this recipe, the sausage and beef are definitely key. I’d probably look for a different recipe for a chicken or vegetarian version! It’s so warm where I live and yet I totally crave chili this time of year. Glad you kept searching and finally found one that you like! 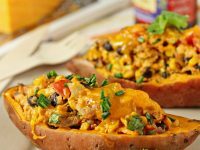 My favorite version is from Cooking Light and uses sausage too – it adds something so delicious to the finished product. 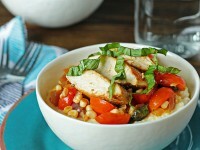 Agreed – this was the only one with sausage in it that I’ve tried and we loved what it adds! 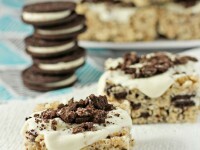 You have a Cookie Monster recipe? Dad will love this! He loves chili. If I ever have time, I plan to make it. The sausage must be a perfect touch. Thanks mom : ) I hope you have time soon too, otherwise I’ll make it for you next time we come up!